What is the experience of OH practitioners when trying to give advice on managing employees with bipolar disorder? And what specific advice is helpful for managers? Jane Downey investigates. In her memoir An Unquiet Mind, the clinical psychologist and leading authority on bipolar disorder (or “manic depression” as it was referred to in the past) Professor Kay Redfield Jamison describes both her professional and personal perspective struggles and triumphs in trying to manage this often misunderstood, maligned and stigmatised condition. Redfield Jamison describes bipolar disorder “as an illness that is biological in its origins, yet one that feels psychological in the experience of it; an illness that is unique in conferring advantage and pleasure, yet one that brings in its wake almost unendurable suffering and, not infrequently, suicide”. The “advantage” that Jamieson refers to could be interpreted as the creative temperament that is often associated with this condition and which no doubt has been fuelled by the number of celebrities across the artistic spectrum whose struggles with this condition have been either openly acknowledged or deduced from historical accounts of their symptoms and behaviours. A few of such luminaries include Sylvia Plath and Ernest Hemingway from the world of literature; musicians Jimi Hendrix and Ian Curtis; maverick artists Caravaggio and Van Gogh, not to mention numerous figures from stage and screen. However, the vast majority of people with this condition are not celebrated artists, and there is a concern from certain quarters that this attitude can “glamorise” the way the condition is perceived. Novelist Matt Haig, when discussing this subject in an article in The Telegraph wrote that as a teenager he had viewed the suicide of Kurt Cobain, Nirvana’s frontman, in this stereotypical way. Back in August 2015 a paper published in The British Journal of Psychiatry indicated that there is a possible link between intelligence, creativity and bipolar disorder. As part of the study, referred to as the ALSPAC study (Avon Longitudinal Study of Parents and Children), scientists at the Universities of Glasgow, Bristol, Cardiff and Texas looked at data from children of the 1990s’ birth cohort. They discovered that higher childhood IQ, which was measured in the study at age eight, could indicate a risk of bipolar disorder in adulthood and was particularly associated with verbal IQ (VIQ). Professor Daniel Smith, the study’s main author, was quick to emphasise that it does not indicate that high IQ in childhood is a “clear-cut” risk factor for later development of bipolar disorder in adulthood. As he states, that there are other factors such as: family history of mental illness; childhood adversity; drug misuse and other serious life stressors to take into account. So, what is the experience of OH practitioners when trying to give advice on managing this particular client group? And what specific advice is helpful for managers when faced with employees who are struggling to manage this condition at work? To get a wider perspective, I spoke to two experienced practitioners from different backgrounds and work cultures. Dr Stephen Pereira is a consultant psychiatrist, CBT specialist and much sought-after speaker on mental health conditions. He has a varied (mostly London-based) clientele stretching from the arts to the world of finance, for whom he has provided a service since 2000. As such, he has wide experience and knowledge of managing the needs of employees from varied backgrounds. But he has also gained particular expertise in managing the needs of those from the legal and financial sectors. These, of course, are sectors that have a reputation for long working hours and attracting notably “driven” individuals, some of whom can resort to less than holistic methods of managing these demands. This situation Dr Pereira states can then result in some employees relying on illegal drug use to manage their symptoms. For the younger city worker this is likely to be MDMA commonly known as Ecstasy, and for the older one cocaine. 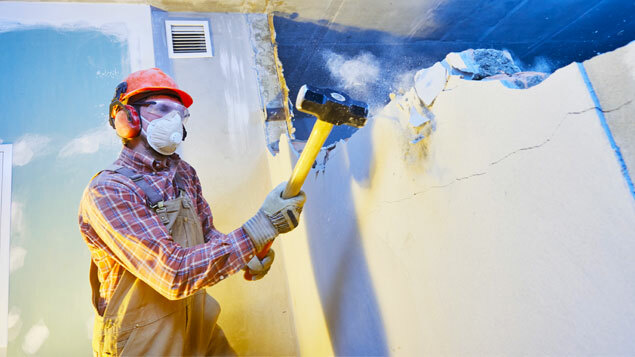 The employee is unlikely to have recognised their condition, but they may get referred to him with symptoms of insomnia, high energy, impulsivity, low mood or excessive alcohol use. When asked about the frequency of this condition, Dr Pereira states that “although 2% of the population may fall into the classical bipolar l or bipolar 11 disorder, a further 5-6% of the population are now thought to have what is termed as ‘subthreshold bipolar disorder.” This means that they may have fewer symptoms or symptoms that endure for less time than the classical bipolar types discussed above. Nevertheless, these symptoms can still mean they are suffering from significant psychological symptoms, which could also include suicidal ideation. Dr Pereira states that this type of presentation, in his experience is not uncommon and, sadly, it is often diagnosed later in life when the condition has often “wreaked havoc due to wrecked relationships and unwise career moves.” He goes on to state “if this condition could be picked up earlier, these symptoms could be managed more effectively which would not only impact positively on their personal relationships but also their employability.” However, quite commonly “GPs and even psychiatrists have picked up on their depression but not their hypomania unless the person mentions it as they often see it as part of their personality,” he adds. Dr Pereira goes on to state that people with this condition are at greater risk of suicidal ideation and self-harm than people with unipolar depression. Dr Pereira stresses that early diagnosis is key to managing bipolar disorder effectively so that appropriate treatment can be implemented. This usually requires medication “as this is a biochemical condition and so it needs a biochemical solution”, he argues. Therapy, such as Cognitive Behavioural Therapy (CBT) can be helpful, particularly “for mild to moderate symptoms of depression, but CBT is less effective for severe symptoms of bipolar disorder due to the difficulties an individual is likely to experience in engaging in therapy,” Dr Pereira states. Dr Pereira also recommends that psychoeducation, in other words the implementation by the individual of good self-management strategies (such as appropriate diet, regular exercise and good sleep hygiene and so on) is also a very important part of their management programme. However, Dr Pereira is also keen to stress the pivotal role organisations can and should play in supporting individuals with bipolar disorder, particularly line-managers. Like many practitioners who are responsible for supporting employees with these type of symptoms, Pereira has seen at first hand the difference a caring, supportive manager can make. 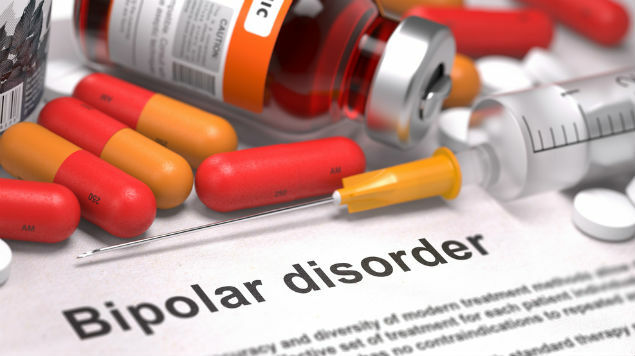 Dr Pereira also believes that employees with bipolar disorder can be high achieving and of considerable value to an organisation, so long as their talents are channelled appropriately with the right support in place. 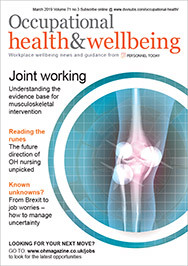 My second interviewee was Frances Harries, OH adviser who has worked in occupational health for more than 30 years. Her experience has predominantly being within local authorities. Like most OHNs over the years she, together with the OH physician, has provided occupational health advice to management on supporting a number of employees with bipolar disorder. There was one case that Harries remembers where the employee was having particular difficulties settling in to a new, fairly demanding role. Although the role was new, the employee had very good transferrable skills but there were certain aspects of the job that appeared to be causing her some anxiety, in the first few months she had raised absence. What really helped “was having a manager that listened to her and carried out a risk assessment so that a couple of tasks that were causing her anxiety were modified slightly without needing to make major changes to the role itself” emphasises Harries. Apparently after an initially bumpy start, the above support measures (particularly the supportive and creative approach of the manager) together with the growing insight of the employee regarding what issues triggered and mitigated their symptoms seemed to be what made the difference in managing their condition effectively at work. Over time the employee flourished in her role and, when there was the occasional hiccough, a supportive working environment, regular OH reviews and implementation of the employee’s personal “WRAP” (Wellness Recovery Action Plan) lessened the effect of symptoms and related absence (See table 1). Bipolar disorder as categorised in the past by DSM-IV (Diagnostic and Statistical Manual of Mental Disorders 4th edition published by the American Psychiatric Association) could result in under-diagnosis of the condition. This was not least because a person’s symptoms did not always fall neatly into the defined subgroups arranged in terms of severity, for example bipolar 1; bipolar 11; cyclothymic disorder and so on. This meant that a large proportion of treated patients were classified as NOS (“Not Otherwise Specified”). DSM-5, the 2013 revised edition, although not perfect, is thought by many clinicians to be a more helpful classification system as it now includes, among other previously excluded groups, those who have subthreshold symptoms. However, although knowledge of the symptoms of bipolar disorder is very useful to the OH practitioner, particularly when up to 5-6% of the working population may be struggling at work with subthreshold symptoms, diagnosis per se is obviously not part of the OH remit. Nevertheless, OH does have an important role in giving the best advice to management and supporting an employee to function as effectively as possible should they present with related issues at pre-placement, whilst in employment, or following a period of related absence is very much part of our role. Bipolar disorder is a complex condition and, like other mental health disorders, an individual’s symptoms may not always fall neatly into the various categorisations. Its fluctuating and cyclical nature can mean that employees can often go for many years without a major episode. But much of this will depend on the particular type of bipolar disorder they have and whether they adhere to their specific treatment plan and self-management strategies as advised by their psychiatrist and mental health practitioners. However, from an employment perspective, as pointed out by Dr Pereira and Harries, what can be just as crucially important is whether the employee feels they can discuss their condition with their line manager. This can allow them to be properly supported by appropriate adjustments, some of which may often only need to be temporary. Ignorance about mental health issues is often at the root of poor management and, consequently, poor outcomes. Training, adherence to good mental health policies and an open, flexible approach are all key to enabling a manager to support an employee appropriately. However, as OH practitioners, we can and should be playing a major role in enabling this to take place. Have good OH support in place to advise and assist on the implementation of the above. Refer to occupational health for advice on managing difficulties at work or related absence and liaise with HR so the employee receives optimal support. Jane Downey MSc (Org Psychiatry and Psychology), RGN, SCPHN (OH), OND is a senior occupational health practitioner at Richmond and Wandsworth Councils as well as a freelance occupational health and wellbeing specialist. Jane, an absolutely spot on article. Dr Pereira almost describes my wrecked life (Not that I’m not fighting to put it back together!). Unfortunately I’ve not had the benefit of workplace support other than through lip service. I’ve made a solemn vow to change this for others. Through charity, giving talks, my business, it doesn’t matter how if it saves someone 3 suicide attempts, £21k of debt and the loss of several partners including the loss of the love of my life. Oh, BTW, I’m replying here for others to read and take on board that this needs to happen as part of chasing my goal. It’s a complex illness. People don’t always know when they’re becoming unwell. It needs to be understood. Up to 10% of people with bipolar take their own lives. Around 1:100 people have bipolar. People with bipolar need support. Working itself is essential to wellbeing.